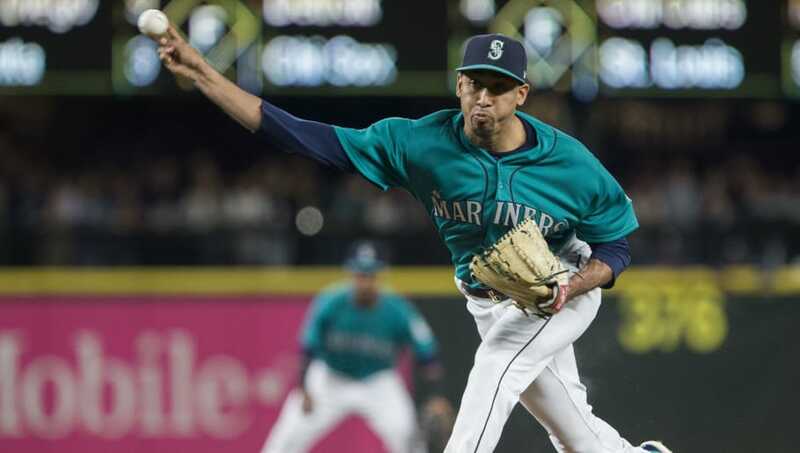 ​Young flamethrower Edwin Diaz is one of the best closers in baseball, and should be recognized as such. The 24-year-old Seattle Mariners stud reliever has a lightning-quick fastball and isn't afraid of using it to ​mow down the opposition. Just ask the Baltimore Orioles, Diaz's newest victim. ​Diaz entered a close 3-2 game in the bottom of the ninth at Camden Yards and proceeded to shut Baltimore down. He allowed one hit, but didn't let anything come of it. The Puerto Rico native did work like usual and secured his 29th save of the year, lowering his ERA on the season to 2.63 in the process. By recording his 29th save, Diaz padded his lead in the category. New York Yankees closer Aroldis Chapman is second in saves in the Major Leagues with 23 saves, but even he trails Diaz by six clinches. If he continues at this pace, Diaz all but has the lead in the saves category locked up for the season. The fact that Diaz now has 29 saves is also important for another reason. The Seattle Mariners' record for saves recorded before the All-Star break is 29 too, set by club legend Kazuhiro Sasaki. Diaz is a special talent, and his current production only highlights that fact.